Rose Farm is a spacious cottage in the village of Dacre in Cumbria. It comes with four bedrooms; a super king-size zip/link, a king-size, a double and a single, as well as a bathroom, a shower room and a cloakroom, the property can sleep seven people. Also inside there is a kitchen with a breakfast table, a utility, a sitting room with a woodburning stove, a conservatory/dining room and a play room. 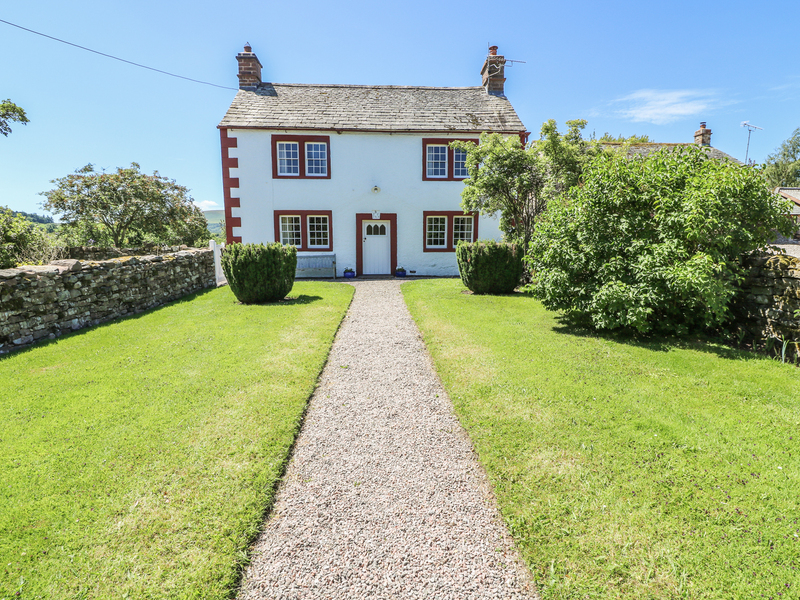 To the outside there is plenty of off road parking, a front enclosed lawn and a rear enclosed garden with a lawn with a small beck and a gravel area with furniture. 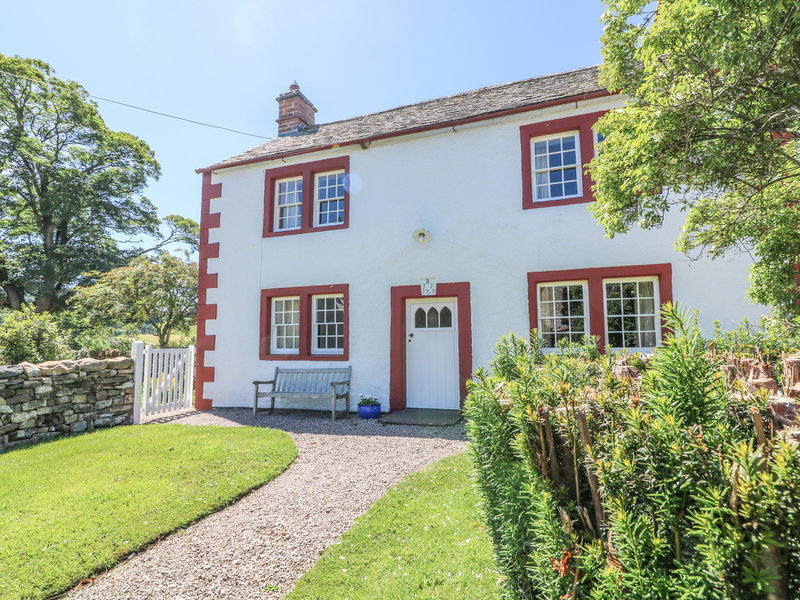 Rose Farm is an attractive property placed well for exploring the Lakes. Four bedrooms: 1 x super king-size (zip/link, can be twins on request), 1 x king-size, 1 x double, 1 x single. Bathroom with a shower over bath, basin and WC, shower room with basin and WC, ground floor cloakroom with basin and WC. Kitchen with breakfast table. Utility. Sitting room with woodburning stove. Conservatory/dining area. Dining room/study room. Oil central heating, woodburning stove. Electric cooker, microwave, fridge/freezer, washing machine, tumble dryer, dishwasher, TV with Freeview, WiFi. Fuel, power and starter pack for stove inc. in rent. Bed linen and towels inc. in rent. Highchair and travel cot available on request. Ample off road parking. Bicycle storage. Front enclosed lawn, rear enclosed garden with gravel area, lawn, furniture and small beck. One well-behaved dog welcome. Sorry, no smoking. Pub 2 minute walk, shop 2.5 miles. Note: Children and dogs to be supervised when outside due to unfenced stream in garden. Please note that this property accepts Maximum of 1 dog between April to October and NO Pets between beginning of November to end of March. We also have details of 35 other similar properties nearby which might suit you.